Regular use of stimulant-based products such as pre-workout powders, fat burners, energy drinks, coffee, etc., although effective, can cause undue stress on your system over time. This means that in order to achieve the same results and effectiveness from those stimulant-based products, you would typically have to continue increasing the dosage/amounts consumed in order to achieve the same effect, which let’s face it, is not good. With that, eventually, there will come a time where you need to give your system a break. 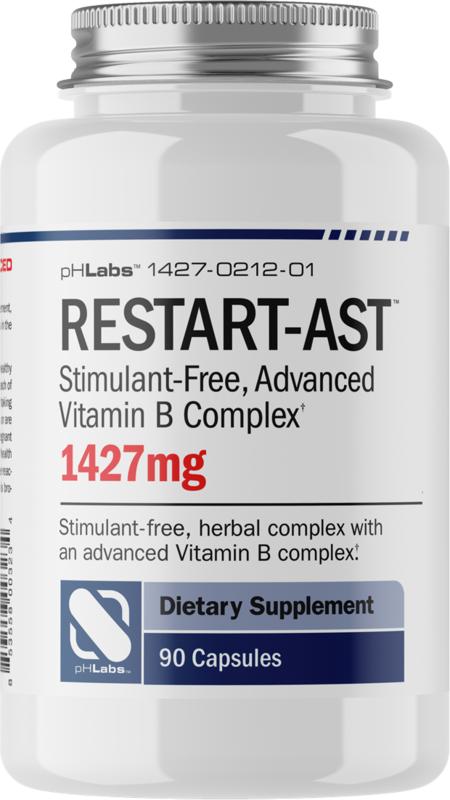 RESTART-AST™ was designed for just that; an interim product while you take some time off the stims. 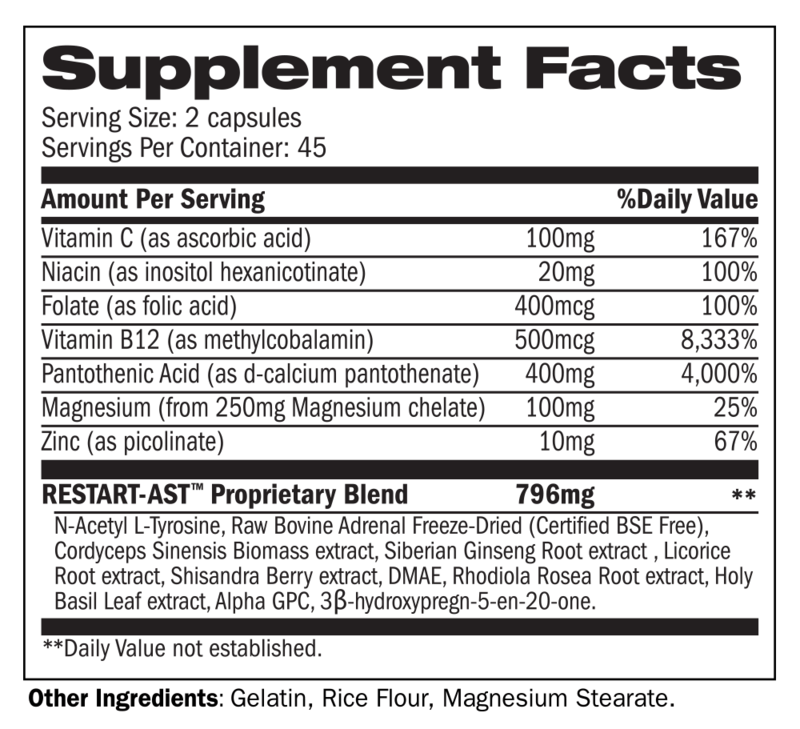 So go ahead, give your body that break and enjoy the benefits of the select and sought after ingredients found in RESTART-AST™ during that downtime. SUGGESTED USE: As an adult dietary supplement, take 2 capsules in the morning and 2 capsules in the evening with 6–8 ounces of water.